How will Russia respond to Western nuclear blackmail? A few days ago, the former commander-in-chief of the Polish Land Forces, Waldemar Skrshpchak, said that the West would use nuclear weapons against Russia in the event of “military aggression” on its part. Washington is increasing its budget to modernize its nuclear arsenal. The world talked about the new nuclear arms race. 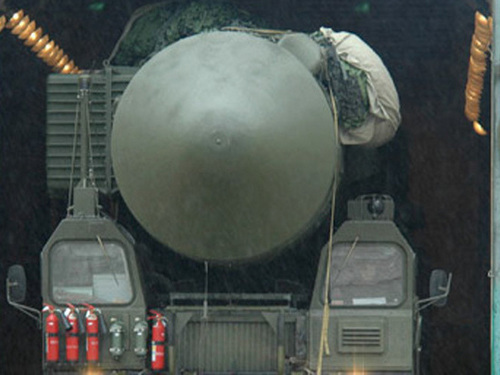 Analysts believe that in these conditions Russia may return to the program of creating super-powerful nuclear weapons. Does this make sense, the military expert told the electronic publication Army Standard . Leaving the Treaty on Medium and Shorter Range Missiles (INF), the United States is putting not itself, but Europe, under attack (and this, by the way, stated Polish General Skrshpchak). After all, they will place their missiles there. In Europe, the same contour is being built American missile defense. That is, in the event of a conflict, it is precisely European countries that will have our counterstrike. America, apparently, hopes that it will not be hit back or that our missiles will be intercepted by US missile defense systems. Stop the aggressive plans can only situation where the immediate aggressor, and not only his satellites, will understand that it will not be possible to sit out – he, too, will be guaranteed to be destroyed. Simply put, the “partners” are invited to recall the idea of ​​the irrationality of nuclear war, that is, the unacceptability of damage to any of the parties in the event of its commencement. At one time in the USSR, the thermonuclear Tsar-Bomb was developed and tested for this very purpose. Her tests took place on October 30, 1961 at the Sukhoi Nos nuclear test site (Novaya Zemlya Island). The measured explosion power was 58.6 megatons. The full-power bomb, a little over 100 megatons, was not tested. The fact is that nuclear physicists feared that an explosion of such power could burn the Earth’s atmosphere. Currently this idea can be revived.